Korean tea encompasses a great variety of teas, from real tea derived from the camellia sinensis to herbal teas made from a multitude of other herbs and fruits. With a long history, this tea culture was greatly influenced by its two Asian neighbors: China and Japan, throughout the ages both in tea production and tea ceremony. Less known in the West than other tea producing countries in Asia, this country has a strong tea culture today. Tea production is not very high and rarely exported, so tea from Korea may be quite rare to find outside this country, but definitely worth a try. Come and share a cup of tea from Korea! The first record of tea in Korean history took place after the 7th century, when the three kingdoms in the Korean Peninsula were united under, the then ruler, Silla. The first tea gardens were planted in the Jiri-san Mountain. It was Silla who helped to introduce the tradition of tea drinking to Korea. His ambassadors to China brought back tea seeds and the knowledge to grow and produce tea. Their study of Buddhism also brought back tea drinking customs and rituals of offering tea to the spirits of monks in Buddhist temples. At first, Korea followed the Chinese custom of drinking whisked tea (which is still present today in Japan in the form of matcha), and as time passed, so would Korea adopt the loose leaf tea form along with China. During the Joseon dynasty (1392-1910) tea was also used by the royal family and the upper classes in rituals, whose continued study of Chinese philosophy and customs helped Koreans to follow Chinese tea traditions and culture. Nearing the end of the Joseon era, the use of tea in ancestral rites, known as Charye (tea rites), made its way down to the lower classes. Tea rites found their way to present day Korea, although today in memorial rituals for family ancestors most people will offer rice wine instead. It was the Buddhist community that continued to make and drink tea much in the traditional way even when almost nobody else did. Green tea has only become popular among the masses in recent years. Large scale production of green tea in Korea dates back just to the 1970's, but it has been experiencing incredible growth in the recent years. Ready-to-drink teas have made their way to the market and dozens of varieties of hot or iced teas are available to suit any palate. Korean tea refers not only to actual tea from the camellia sinensis plant, but also to a great variety of infusions made from other herbs, both in hot and cold water. 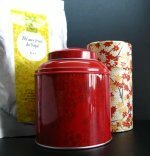 The most prized teas inspire feelings of peace, respect, purity and quiet with every cup you drink. Tea gardens in Korea produce black and green types of tea. The specific flavor of each tea greatly depends on the location of the tea plantation. 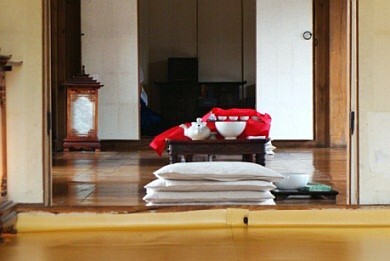 For example, teas grown on Jeju Island tend to have a certain saltiness due to the presence of ocean winds, while teas grown elsewhere may be more astringent, bitter or sweet. Black tea - pressed into cakes were the earliest tea form used in rituals, more delicate than their Chinese counterparts, these have a sweet, honey-like aroma and flavor. Green tea - more often served than other types of tea, these teas are full of character, somewhere between Chinese and Japanese. Tender leaves resembling Longjing tea. Herbal teas or infusions are usually made from using leaves, flowers, fruits, roots or grains, from a multitude of plants. Let's take a quick look at the most famous varieties enjoyed in Korea. Roots - fresh or dried ginseng tea (Insamcha) is a favorite as an energy and healing drink, and ginger tea with honey (Saenggangcha) which is also warming and great for digestion. Grains - roasted barley tea (Boricha) is quite popular and many brands are available in ready-to-drink bottles; roasted corn (Oksusucha); sweet roasted rice tea is also available in many places and may be drunk cold. Fruits - hot or iced teas with fruits such as persimmon, mandarin orange, lemon, Chinese quince (Mogwacha) and berries are very popular. Sweetened with honey and sometimes even fruity jams. Leaves - mulberry leaves, pine needles, peppermint leaves and persimmon leaves. Flowers - chrysanthemum flower tea sweetened with honey, jasmine. These are just a few examples of what you may find if you go to Korea, as there are certainly enough varieties to suit anyone. Taste Korean tea and infusions! The tea ceremony in Korea is similar to the Japanese ceremony, but considerably more relaxed with not so many strict rules and steps. Tea houses are a place of calm and relaxation. The whole environment seems to be inspired by Buddhist meditation practices. As you enter the tea room, take your shoes off and keep your socks, it's not polite to go barefoot. The set is already laid out on a small low table, covered waiting for the guests to arrive. Teapot - small ceramic teapot with a handle. The handle allows the host to swirl the teapot to better brew the tea allowing it to swirl gently. Tea cups - ceramic cups that are small in size. Small decanting bowl or Sookwoo - used to hold hot water that is then poured into the teapot or to hold the tea once it is brewed. Water is heated in a kettle that is then used for the tea ceremony. A great Korean tea requires care and mastery, but with the proper instructions there is no reason not to enjoy a nice cup of tea. 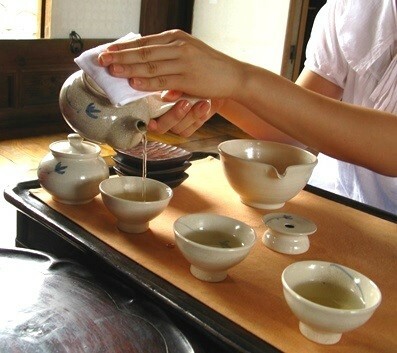 Let's take a look at the steps for brewing Korean tea. First, water is heated in a kettle then poured into the decanting bowl. 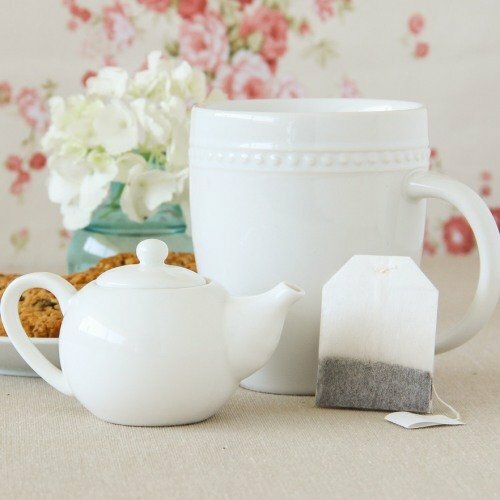 It is important to use good quality water so as not to ruin the flavor of the tea with impurities and odd smells. This first hot water is then poured into the teapot and cups to heat them, and once these elements of the tea set are warmed up, the water is discarded and you can begin brewing the tea. 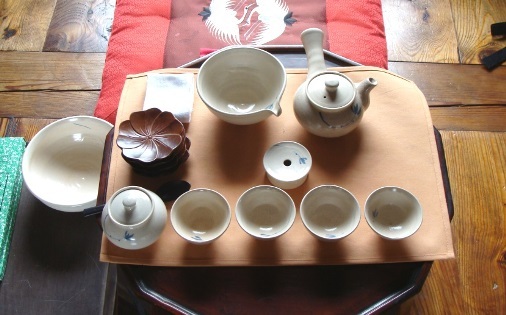 The decanting bowl is again filled with hot water and as the master waits for this water to reach the right temperature, tea is placed inside the teapot. 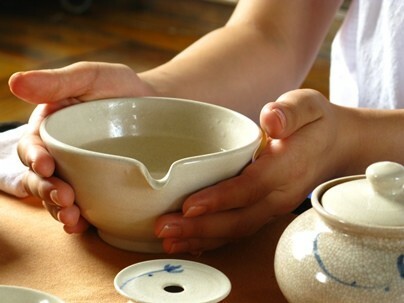 A tea master is able to tell when the temperature is right just by touching the bowl, but those who have not achieved mastery level should use a thermometer. When the water is ready, it is then poured into the teapot to brew the tea. 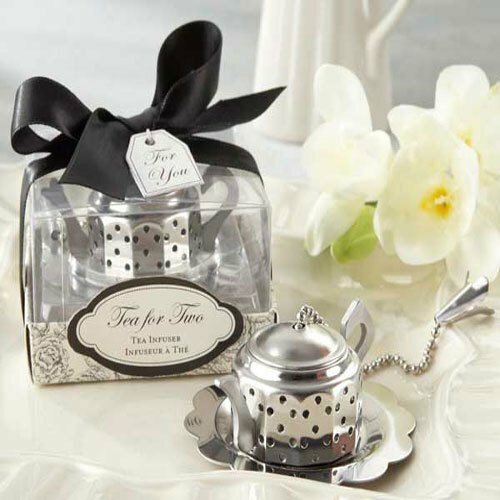 The tea master holds the teapot by its handle and gently swirls the teapot to help the tea leaves open and infuse. After about a minute, more or less depending on the type of tea, of course, the teapot is emptied into the decanting bowl. This stops the tea leaves from brewing any further. Tea is served from the decanting bowl into the tea cups, a little into each cup at a time, going back and forth until all tea cups are full. This ensures that all cups are served with tea at the same temperature and no cup is cooler than the other. If any tea is still left in the decanting bowl it is then emptied into the larger bowl at the side of the table. If more tea is desired, a fresh teapot is brewed, as a good quality tea may be reinfused many times. The great thing about the Korean tea ceremony is that while all these steps are taking place, the tea master engages in polite and relaxing conversation with the guests. It is all so calming and nice, and then, finally, the tea cups are given to the guests and it is time to appreciate the tea. 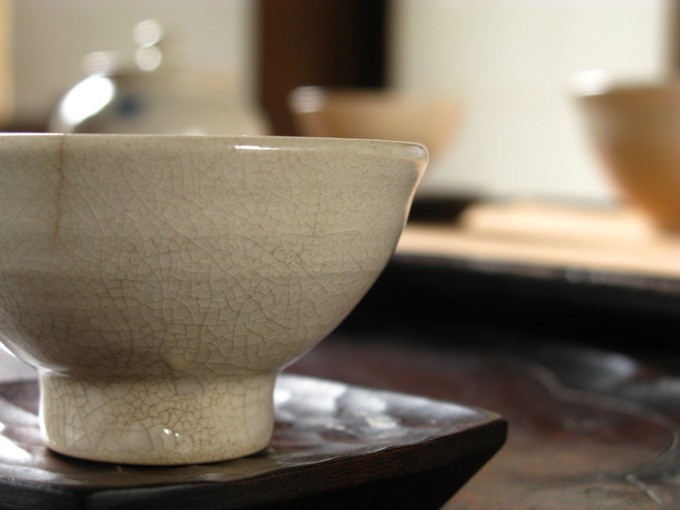 Here are a few pointers on the etiquette of the Korean Tea ceremony. Once the host has finished serving all tea cups, you may pick up your cup with the right hand and place your left hand under the cup much like a saucer, but with the difference that you do not remove your hand as you drink. Take the cup up to your mouth and nose and breathe in the smell of the tea before you. Your senses will be immediately aroused by the wonderful smell of Korean tea. Drink your tea slowly and remember to hold the cup with both hands. With each sip you take notice the wonderful flavor of Korean tea, not so astringent as some Chinese teas, milder and well rounded in flavor and aroma. Now it's time to go and enjoy a cup of tea and a little of Korean culture!